Session Fees: $170.00 for individual sessions. Services are covered by most extended health benefits programs. A sliding fee scale may be applied. Please contact Anna for further information. Do you have difficulty coping? Are negative moods a concern for you? These concerns are more common that most of us are aware; and lasting recovery is possible –maybe within just a few visits. Anna believes it's important to work from a client-centred, individualized approach. As such, she views each client as an expert in their own lives, largely integrating their goals and preferences in the therapeutic process. Her work is inspired by the science of neuroplasticity. What that means for clients is that she provides education about human thinking, behaviour, and brain functioning to help clients make sense of their difficulties, understand their origins, and see their challenges from a normalizing, compassionate view. Many clients report finding this information to be very helpful, hopeful, and empowering, as it provides a roadmap for resolving their issues. Anna uses evidence-based practices such as Mindfulness-Based Cognitive Therapy, Cognitive-Behavioural Therapy, Relational/Interpersonal counselling (therapy through relationship), Solution-Focused Brief Therapy, Sensorimotor Psychotherapy, neurofeedback, and neurophysiological research. Anna also uses the Gottman Method of Couple's Counselling. She is in the process of becoming a Beyond Addiction facilitator with Sat Dharam Kaur and Dr. Gabor Mate and is also a Certified KRI Kundalini Yoga Instructor. In terms of academic training, Anna holds a Master's degree in Counselling Psychology from the University of Victoria and an Honours Bachelor of Arts in Psychology with a Specialization in Cognition and Perception from McMaster University. She is designated as a Registered Psychotherapist with the College of Registered Psychotherapists of Ontario and a Canadian Certified Counsellor in good standing with the Canadian Counselling and Psychotherapy Association. 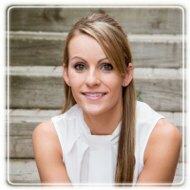 Anna specializes in the treatment of post-traumatic stress using evidence-based approaches, including Sensorimotor Psychotherapy to help address the physical as well as mental and emotional impact of stress and trauma on the individual, to cultivate healing and post-traumatic growth within a safe setting. Other areas of specialization include mental health, depression, anxiety, stress, and other emotion and attention regulation difficulties, although she has a great deal of experience working with various other mental health concerns and daily life challenges. Anna's background includes extensive front-line experience working in the mental health and addictions field, as well as conducting research on Mindfulness-Based Cognitive Therapy among adults with acquired brain injury. She also offers executive coaching, consultation, and educational seminars. Working in such intense settings with significant mental health concerns has not only allowed Anna to cultivate strong clinical skills and knowledge of the field’s most recent advancements, but it has instilled in her a knowingness and hopefulness that change and recovery are possible, even in the most difficult circumstances. Anna offers services to youth, adults, and couples for short-term or long-term psychotherapy individually and in groups. She appreciates how important a therapeutic alliance is for therapy to be effective and knows how difficult it can be to find a therapist you feel rapport with; that's why she’s happy to offer a free initial phone consultation for you to get a sense of whether her approach might be a good fit. Currently offering appointments on weekday evenings and bi-weekly Saturdays. Marson, A., The 22nd Pacific Coast Brain Injury Conference: Real people with real lives: It takes a village. Headline, Spring 2012, p. 18. Marson, A., Investigating the effectiveness and acceptability of MBCT in ABI. Headline, Spring 2012, pp. 16-17.